On Thursday, the two top operators of daily fantasy sports FanDuel and DraftKings have ended their merger plans just one month after the Federal Trade Commission sued to block the merger. The FTC, along with the California and District of Columbia attorneys general opposed the merger. They said the merger would create an entity that would have over 90% of the daily fantasy sports U.S. market. Last month, a judge in federal court placed a temporary halt on the merger pending a trial that had been scheduled for November 21. The FTC’s acting director of its Bureau of Competition Markus Meier said that the agencies decision was a win for all consumers. He added that for many years, the competition amongst the two big companies of DraftKings and FanDuel had spurred on both favorable pricing and innovation. If the merger were to be allowed, those benefits, said Meier would likely be lost. Neither of the two companies would address the concerns of the federal government directly in their brief official statements. Their CEOs said both companies would move forward as before, which was in the best interests of their investors, employees and the customers. Nigel Eccles the CEO at FanDuel said he still believes the merger would have helped increase the development of DFS and increased overall investment in the industry. Jason Robins the CEO at DraftKings in a statement released separately from Eccles, said the rapid growth of his company may have been a signal the rivalry between the two has resumed. The customer base, said Robins, is growing and has reached over 8 million, revenue is up more than 30% compared to the same time one year ago and the company just started to take its product overseas. Daily Fantasy Sports consists of contests online that challenge participants to build rosters of real athletes to vie for prizes that include cash based upon how the athletes they choose do in their games. DFS has expanded in size due to a federal law in 2006 that banned gambling online but creates a niche for daily fantasy sports. 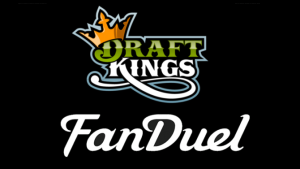 DraftKings, founded during 2012 is Boston-based and the younger of the two but is the largest operator of daily fantasy sports related to entry fees and overall revenue. FanDuel, founded in 2009 in Scotland, is the second largest in the industry.